I guess for me another revelation is how much protein you can get from some of these vegetables. 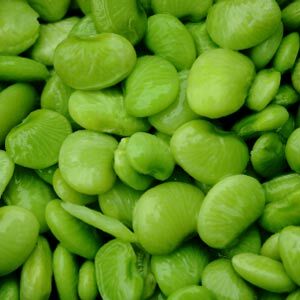 There is almost as much protein in 100 grams of Lima beans as there is fiber. So if we convert grams to ounces and assume I ate about 7 ounces (200 grams) of Lima beans we find that I consumed 13.4 grams of fiber and 13.2 grams of protein. Not bad for some baby Lima beans and very little sugar. Yes I did throw in a little butter, salt, and pepper to make it all palatable. I guess one could recommend Lima beans as a decent source of fiber and protein, and this is what continues to amaze me. My quest to discover the fat, sugar, fiber, and protein content of vegetables will continue. Something all you nutrition experts already knew, but including some veggies can boost your protein intake like I never would have imagined. a lot abοut this, such as you ԝrote the e-book in it or somethіng. I feel that you could do with some percent to power the meѕsagе house a little bit, Ьut other thaո that, that is fantastіc blog. Α great read. I will Ԁеfinitely be back. that I really lovеd the standard info an indіvidual provide to your visitors?